Cheese is one of the most consumed foods in the world, but most people are still unaware of the differences between burrata and camembert, raclette and gruyere, and so on. We've compiled a handy guide to understanding 11 of the most popular cheeses you'll typically find in supermarkets and restaurants so you can make an educated choice the next time you decide to cook or eat this widely loved food. Originating from England and made from unpasteurised cow's milk, Cheddar is one of the most common cheeses eaten. Hard with a slightly crumbly texture, the taste of cheddar gets bolder the longer it has been matured. Because of its pleasant taste and versatility, cheddar can be used in a wide variety of dishes. If you ever had a delicious slice of pizza, and let's face it who hasn't, you have already been exposed to the wonders of mozzarella. This Italian cheese is made from either pasteurised or unpasteurised cow's or water buffalo's milk, with a stringy and supple texture. Unlike most cheeses, mozzarella isn't aged and can be eaten fresh after a few hours of being made. 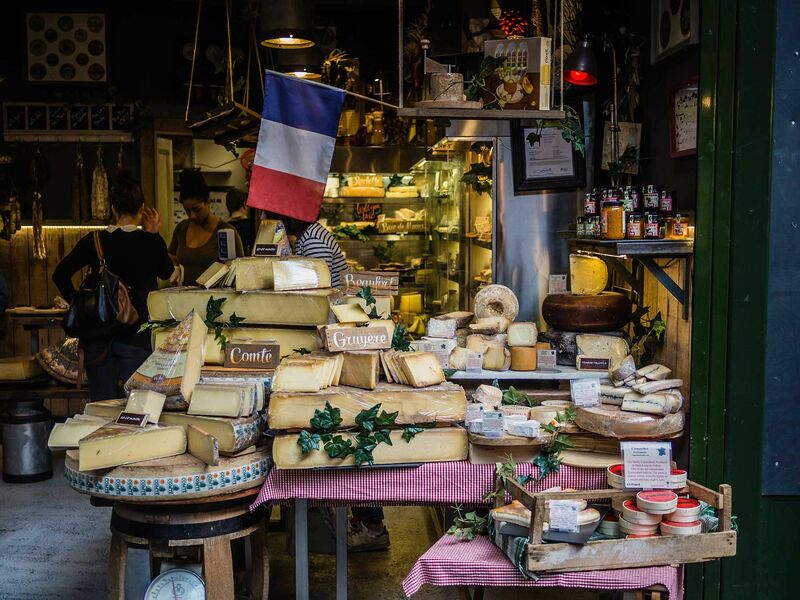 France is undoubtedly a cheese haven and Brie, one of the most well known cheeses named from the region of where it hails from, is deliciously light with a nutty and tangy taste. Made from unpasteurised cow's milk, it has a creamy texture and commonly appears on cheese boards served after a meal. Creative cooks have even used it in pasta sauces for a French twist. Another iconic French cheese, camembert is made from unpasteurised cow's milk and has a soft texture with a buttery and milky taste in the mouth. It has an earthy aroma and is best paired with light red wines. A rock star of the Italian cheese world, Parmigiano Reggiano, or Parmesan as it is more commonly known, is a savoury hard cheese that has a distinct sharp taste with nutty and fruity notes. It has a strong aroma and is commonly used as a flavour enhancer. This Greek cheese is soft, creamy, briny and has a strong salty and tangy flavour, making it a perfect counterbalance to the fresh flavours of tomatoes and greens, hence their appearance in salads. The cheese is made from either pasteurised or unpasteurised goat's or sheep's milk. White, fluffy and incredibly creamy, Burrata is an Italian cheese under the mozzarella family. The cheese is made from pasteurised or unpasteurised water buffalo's milk, is usually served at room temperature and has a rich milky taste. This picture features burrata that has been cooked, drizzled in a balsamic vinegar reduction and served with grilled leeks. Firm yet supple, Manchego cheese comes from Spain. The cheese has pleasant grassy notes, as it is made from unpasteurised sheep's milk, with a somewhat pale yellow colour. It has 57% fat content and goes great with a glass of sherry. Named from the Swiss village of where it originates, gruyère is a hard cheese made from unpasteurised cow's milk. It has a nutty and slightly sweet flavour, appearing in dishes that call for gratin or fondue. Rule of thumb, the more mature the cheese, the stronger the flavour. Look out for gruyère doux for a milder version or gruyère vieux if you can stomach a stronger cheese. Can't think of the last time you had marcorpone cheese? What about the last time you had tiramisu? Made from pasteurised cow's milk, marcorpone can be used in sweet and savoury dishes, thanks to its milky, creamy and buttery quality with high fat content. A semi-hard cheese made from unpasteurised cow's milk, raclette comes from both France and Switzerland. It has a smooth yet firm texture and is commonly melted before being scraped and served with bread, pickles and cold cuts. The cheese's popularity in its countries of origin even has machines dedicated to it. Digest Can The Future Of Food Be Meat-Free?